Want to see your ad on the sidebar? Or collaborate on a DIY post? Über nanny content you’d like shared with the NANNY SHECANDO community? Connect your products with my readers. 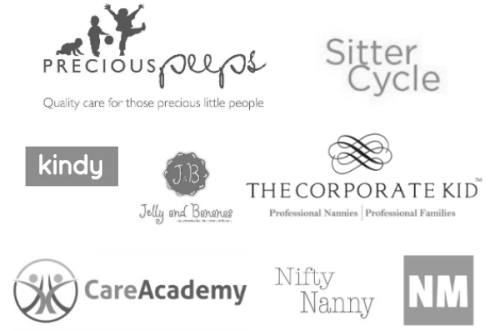 Advertise // NANNY SHECANDO works with companies who share similar interests to that of the blog and it’s readers. If you’re a youth + child, education or childcare oriented business owner and you think you’re a good fit, you just might be! Sponsored packages are available with various ad types offered. Email with the subject line “Sponsor Enquiry” to get the media kit + rates. For anything not outlined above, I read all of my emails! If you’re a small (and local) business, get in touch – there are affordable rates available to you. I’m all about community! I write this blog to help support and promote the nanny community through a shared network of like-minded people and professions. I also enjoy sharing my experiences and adventures in the nanny life and regularly contribute articles to several Australia-based and international agencies and websites. See About + Press. NANNY SHECANDO is a comprehensive blog and resource for readers interested in nannying + childcare, education + learning, DIY craft, and kid-friendly activities. NANNY SHECANDO reserves the right to only accept ads that are appropriate and in the best interests of the readers.